Randy White is currently the Principal Manager for Physical Security and Asset Protection at Southern California Edison, one of the largest, most innovative electrical utilities in the country with over 15 million customers. SCE’s Corporate Security department is responsible for a territory of 50,000 square miles across central, coastal and Southern California. Randy is responsible for security operations including protecting people and facilities in adherence to the requirements of the Department of Homeland Security (DHS), and the North American Electric Reliability Corporation Critical infrastructure Protection (NERC CIP) standards. In this role, he oversees corporate security investigations, workplace violence prevention, security vulnerability assessment program, law enforcement liaison, security forces, security monitoring and response, and critical asset protection. Randy has 30 years of experience in risk mitigation, intelligence operations, and security executive leadership. Randy brings broad experience to ensure the protection of people and assets, and that operational missions and focus drive security planning and response. A native of California, Randy graduated from Santa Clara University and received an Army ROTC commission. He served in the Army for over 20 years as an operations and intelligence officer, with tactical and operational assignments in Germany, the Republic of Korea and the United States. After retiring from the Army, Randy was the security director for major academic medical centers with responsibility for plans, policy, emergency preparedness, and security and police operations. 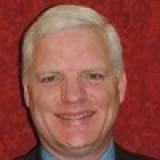 He has also worked as a security consultant, and as adjunct faculty teaching leadership and legal writing. Randy has a Master’s in Business Administration from Benedictine College, and a law degree from the University of Akron. He has qualified as a Certified Information Privacy Professional, and is a graduate of the Georgetown University International Security Management Association Senior Executive Leadership Program. He is an active member of the American society of Industrial Security (ASIS), and serves on the Dam Sector Coordinating Council. Check out the incredible speaker line-up to see who will be joining Randall.